This transformation from a pion into a muon and muon neutrino is considered in two phases, for clarity. 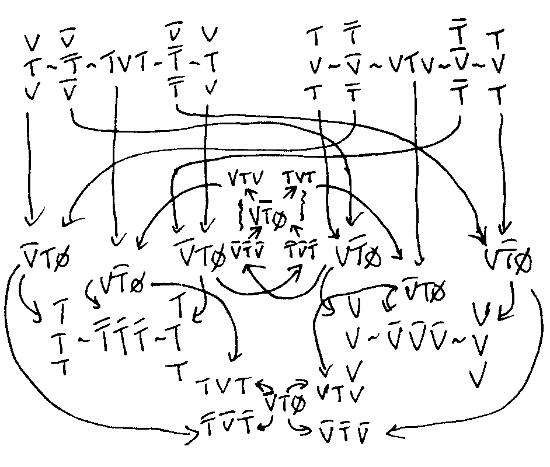 Note very carefully the simultaneous creation of the W Boson and correspondingly oppositely-charged gluon (aka "pion"), as this is critical to ensuring conservation of charge and phase. 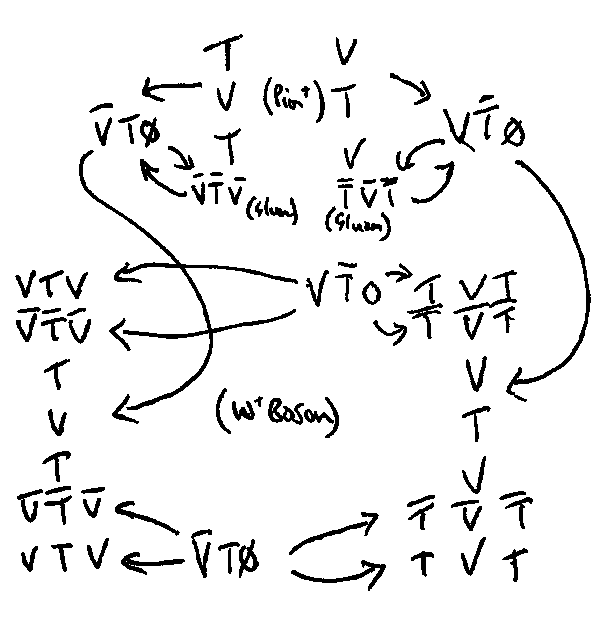 Figure 10 illustrates the transition to W Boson. The initial quarks may not be placed directly into the W Boson: they must undergo phase transforms in order to jump between quark flavour levels. The second phase requires, to give a mathematical balance, some odd tricks (shown in the centre of the diagram). A fully time-reversed VT0 and a transitional VT0 are used. It is cumbersome but successful, representing phase and charge conservation.